The Indiana Department of Child Services has been ordered to pay $31 million to a family accused of abuse in the death of their daughter. In 2005, Jessica Salyer, 14, died from prescription errors. A year and a half later, her parents Roman and Lynnette Finnegan, were arrested on neglect charges -- accused of beating Salyer to death. Investigators said there were signs of blunt force trauma to Salyer's head and multiple signs of internal bleeding. However, experts testified that the internal bleeding was caused by Salyer's heart medication and that the trauma to the head was a result of an autopsy. The Pulaski County prosecutor dropped the charges in November 2007, and a judge dismissed the case with prejudice. However, DCS would not clear the allegations from the family's file. Over the span of 10 years, attorneys for the Finnegan's said DCS made their life "a living hell." Two of their children were placed in foster care for nine months. They also exhumed Jessica's body after she had been buried. After the arrest and accusations, Roman Finnegan lost his job. The family also lost their home and possessions. Was DCF protecting the doctors that prescribed the drugs that killed the child? I know these "authorities" all protect each other. Was this to allow the statute of limitations to expire, or for the parents to never know the truth of how their daughter died? The "Code of Silence" and distractions is a predators number one defense. Second they invalidate you, or make it your fault... blame you. Third, they use their associations, peers, and the "law" to protect them. The dental industry is especially protected by this system. Shameful. I created a Facebook page to promote awareness on how many ACS/CPS workers and social workers intentionally lie to the courts in order to tear precious children from their loving and innocent parents. And the dramatic affects and damage it cause. Please check view my Facebook page called Vindicated Justice. Feel free to like and share articles and videos I post. Together we can make a difference. I am glad that the truth was revealed and CPS was exposed for the horrible things they do to INNOCENT families. This family deserves every penny and more. Were any of the CPS workers terminated? One aspect of this is the fact that the CPS is not letting go and admitting defeat, clinging to the hope the decision is reversed if they fight hard enough believing that ultimately the law will (or should) always rule in their favour, with the intention of causing the family - the enemy in their eyes - as much distress as possible. The same applies to SS here in the UK, and this is not just in child protection issues. There is no amount of money. $333,310 and shutting down thise agencies. .and having a jiry in all couts for a balance of power. This is just ONE of hundreds of thousands of cases of Child Protective Services or Dept. of Children and Family Services over zealousness, which has resulted in breaking up families. STARTPAGE or GOOGLE the brave state senator Nancy Schaefer of Georgia. Research "CPS" and "Alex Jones." She and her husband just happened to get murdered by an antique gun in a so-called "double suicide", when Senator Schaefer was about to do a nationwide expose' of the abuses of the "Child Protective" Services. They are in fact, family DIS-services, and they perpetrate kidnapping under color of law. County and local authorities, get huge governmental subsidies throughout the USA and the western world to make up false reasons to grab peoples' children and put them under the "foster care" of non-biological guardians. Is it part of a Politically Correct scheme to ruin families and intimidate the public? You do the research, you be the judge. 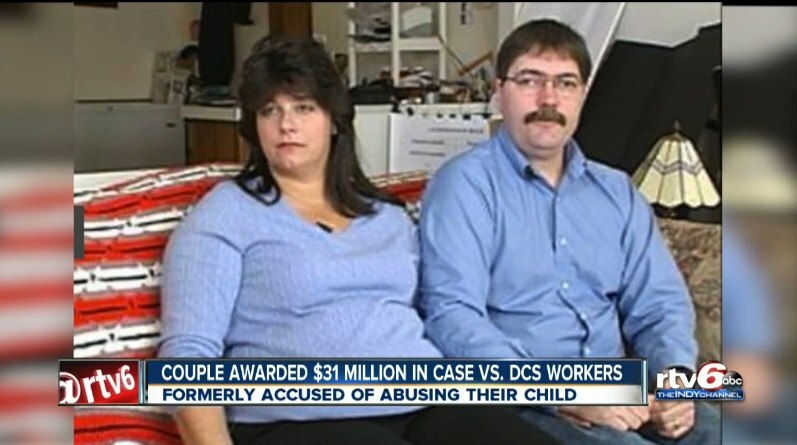 It is beyond me how stealing 31 million from the taxpayers is any kind of punishment or disincentive for the CPS. Looks like they got off with less than a slap on the hand.